Here is an assortment of Yoda parts used to create the mechanical puppet introduced in Star Wars: The Empire Strikes Back. Some of the pieces are difficult to identify but enclosed are plastic components used in constructing eyes and some wiring mechanisms. Towards the front of the image, you can see Yoda's fingernails and teeth. 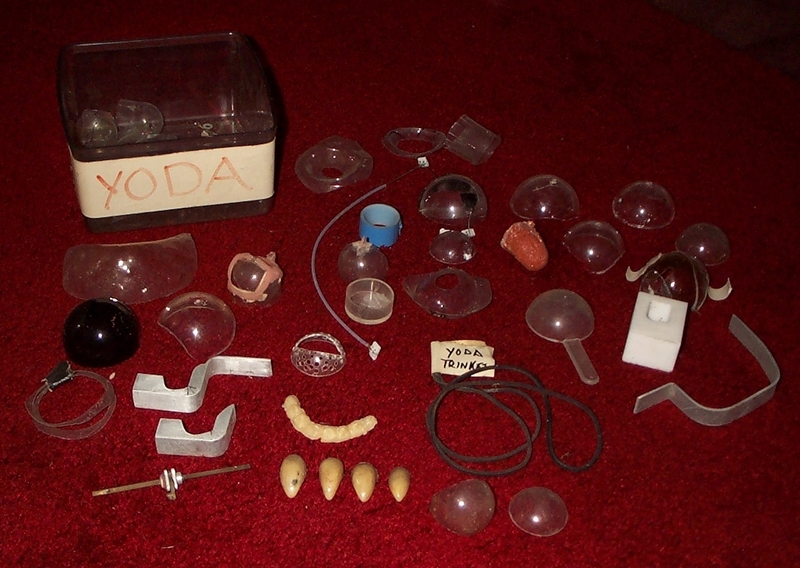 All of these items were stored in this plastic box labelled "YODA".